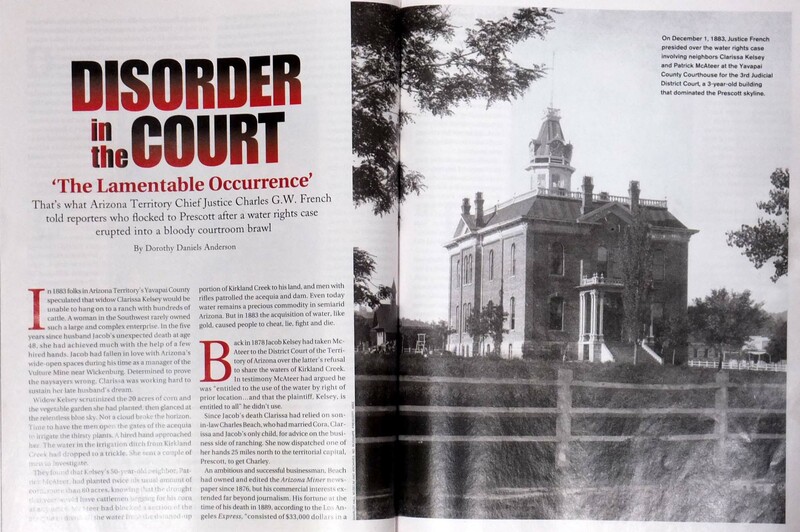 A new story of Dorothy's called "Disorder in the Court: The Lamentable Occurrence," has been published in the national magazine for western writers called the Wild West magazine in their February 2014 issue. This issue can be found in your library's western section or it is available on all the electronic devices that you favor. It is a story of a widow lady, Clarissa Kelsey, and one of the bloodiest court battles ever known. Dorothy's book, Arizona Legends and Lore (176 pages, $9.95), tells the stories of some of the most interesting and adventuresome pioneers in the early Arizona frontier. Each character is real and the events described are based on years of research through books, old journals, newspapers, magazines, talking with descendants of Arizona pioneers and going into archives of personal papers and memorabilia. Only the most exciting, vivid and unique characters were chosen to be profiled in this book. 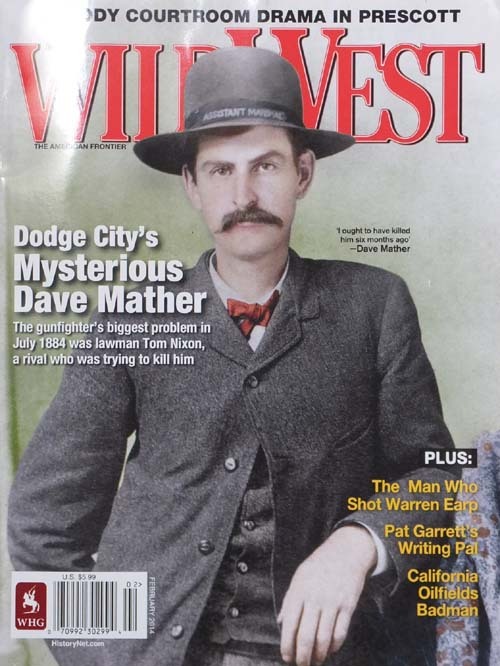 Each story is a vignette in the life of one of these characters that provides the reader with an entertaining look at what made the Old West a land of legends. 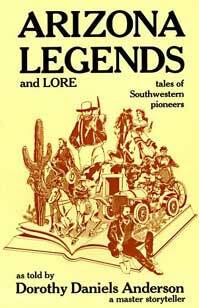 ARIZONA LEGENDS AND LORE IS ALSO AVAILABLE ON KINDLE, IPAD AND NOOK FOR THE LOW, LOW PRICE OF $7.99. The ebook version retains all the photos as found in the print edition. The paperback edition can be purchased through Amazon.com or from your local book store. Click here to purchase the paperback or Kindle edition from Amazon.com. It may also be purchased directly from American Traveler Press, 5738 North Central Ave., Phoenix, Arizona 85012-1316, phone 602-234-1574, toll free 800-521-9221, fax 602-234-3062. Click here to visit American Traveler Press.